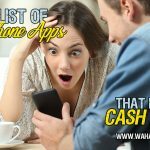 You are here: Home / Extra Cash / These 26 Companies Will Pay You Cash to Test Websites from Home! Have you ever wanted to have a say in the look and functionality of your favorite websites? Well, you can – and you can get paid for your opinions! You can test out websites and provide your honest feedback about their designs and ease-of-use as a website tester. 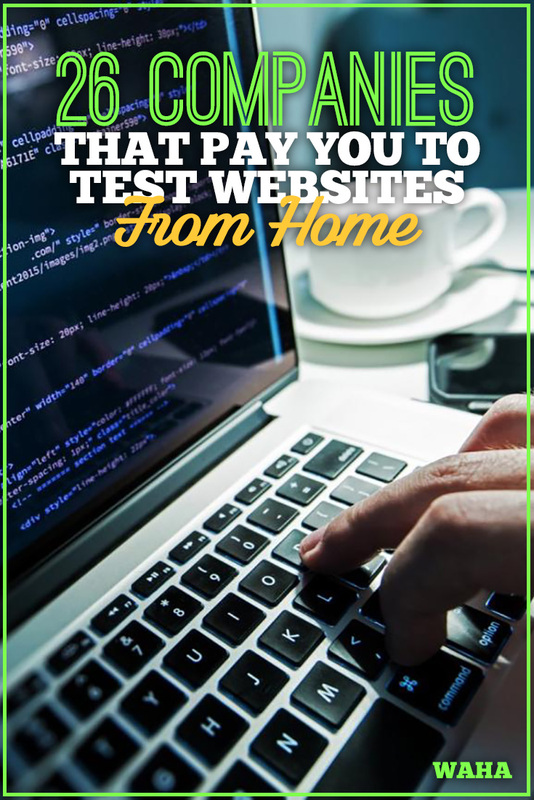 The best part is you can make money as a website tester by working from home. What is a Website Tester Job from Home? As a website tester, you will usually provide verbal feedback on a website as you use it. 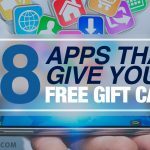 You’ll be assigned a website to go to and some instructions, such as clicking on certain areas of the website or adding a product to the shopping cart. The purpose of website testing is to identify possible functionality issues, like dead links, distorted webpages, or malfunctioning online stores. Websites can work differently for different users, and webmasters and companies want to ensure a positive experience for everyone. Using your computer’s microphone, you’ll describe your experience and thoughts as you move through the website. Most website tests take between 5 to 30 minutes and pay an average of about $10 per test. Some companies provide frequent tests, while others are sparse. Website testing is, therefore, usually best for those seeking a part-time income or some extra cash. Fortunately, the tasks can usually be completed on your own time, as long as they are completed before a specific due date. There are not usually many requirements to become a website tester, and you typically don’t need previous experience. Basically, if you have a reliable computer and internet, provide excellent feedback while adhering to instructions, and can pass the sample tests, you can become a website tester at home. Remember to sign up for PayPal, as most companies use this as their payment method! The following companies hire for website tester jobs. Although they may not be hiring at the moment, keep them bookmarked to check back for openings. Those in the 99Tests community have the opportunity to shape websites, apps, software, and more by providing their feedback to the companies that make them. You pick when you want to work and get to choose the projects you work on, so it’s very flexible and tailored to your interests and needs. The community also features testing contests that give testing professionals an opportunity to win more money for their time, but you’ll also be compensated for the projects you complete. What used to be known as ErliBird is now BetaTesting, but it works similarly. You can get paid to test apps, websites, software, and more from companies who partner with BetaTesting. 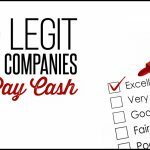 You can earn at least $10 per test working with companies like Musical.ly and Emberlight. Testers must be at least 18 years old, own a PC or Mac for testing purposes, and be able to understand, write, and speak English fluently. 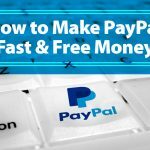 You’ll get paid via PayPal within 7 days after the project ends. Help find bugs on software, websites, and apps! BugFinders pays you for any bugs you find as you use these things on your computer or mobile devices. Once BugFinders verifies the bug you mentioned, it’ll pay you for them once a week with PayPal or Payoneer. Rather than testing regular websites, Ferpection lets you test mobile sites and apps to make sure they display properly and work correctly on various mobile devices. Your feedback will all be written here, too, so there’s no need to speak your thoughts like you need to with other companies. You’ll receive payment for all completed tests every month via PayPal, or you can choose to redeem what you’ve earned for a gift card. Intellizoom requires testers to complete a sample study along with their applications. Once that study is approved, you should be eligible to start applying for open testing opportunities for products, websites, apps, software, and more. The type of study will determine how much you make, but most website testing opps will pay $10 or more. You might also find some smaller studies – more like online surveys – that pay about $5 each. Most testing opportunities will take up to 20 minutes of your time. Intellizoom pays via PayPal within 21 business days after your tasks have been approved by the system, which may take up to five business days. Loop11 is a service that offers consulting, testing, and other helpful user testing tasks to companies and individuals. On the website, you can apply to become a tester. The actual rate of pay and details about tests aren’t listed on the site, but Loop11 does say that you’ll be eligible for “higher than average” rates as a panelist. Loop11 also supposedly hands out bonuses as incentives for top performers and has frequent testing opportunities for its members. Before hopping on board, you’ll need to complete a 5-minute qualifier test along with your application. TestingTime requires you to have Skype installed on your computer to perform tests on products, websites, and apps. You’ll meet up with a customer on Skype, who will walk you through the required tasks and record the session. Tests can take between 30 and 90 minutes, and usually pay about 50 Euros (around $53 USD). So, you’ve found several sites you want to try. But there are a few things you should know before you start. Like any side gig, website testing works out best for people who understand the system and know how to use it to their advantage. For most testers, signing up with just one company won’t give you as many opportunities to earn as you’d expect. This is a side gig, so it isn’t something you should expect to put all your eggs into one site and get great returns from it. Instead, spread yourself out between several testing companies. It doesn’t cost anything to apply to them, so you’re not losing anything by signing up. What it will do, though, is give you many more opportunities than you’d get from just being a member of one or two sites. The way these companies work is that, when they have clients come to them, they send those assignments on to testers to complete. You won’t always be the chosen tester for a project because there are hundreds to thousands of others waiting for assignments, too. You could go weeks to months between assignments with one company, but five other testing companies have some lined up for you in the meantime. To maximize how much you make with this work, becoming a member of at least four or five different sites should help. When you do sign up for any testing company, you’ll almost always have to take some kind of trial assignment before becoming an accepted member. This assignment tests your ability to follow instructions, speak clearly, and complete the tasks, in general. This assignment should be one you take very seriously, even if it’s unpaid (some are, some aren’t). Once you pass this assignment, the company knows you’re someone it can trust with future gigs. If you do a really great job, you’ll be more likely to get assignments in the future. So, even though it’s a trial, act as if it’s the real thing. Follow all instructions, be detailed in your responses, and make sure you submit everything correctly to snag a spot on the testing panel. Once you’ve completed your signups and trials, you might want to find a good organization system to keep all your testing gigs in one easy place. Every time you’re eligible for a new test, the company will email you an invite that explains the basics and how much you’ll earn for completing it. You don’t want to miss these emails because you’ll miss your chance to take the test. These companies usually send out invites to several more testers than they have open spots for with each test because they know that many won’t respond. Unfortunately, many also will, so you have to be very quick at responding (usually within an hour or so after the invite’s sent) to ensure your spot in the paying test. If you have a dedicated email address just for paid testing opportunities – or at least a dedicated folder in your main email – then you should find it easier to get your invites and not miss a gig. Website Testing: Is it the Right Job for You? Not everyone will enjoy website testing. The work can be tedious and you have to be meticulous about following instructions so you can complete tests accurately. But, if you’re interested in improving how websites look and work, it can be fun to have a hand in it! And, with tests averaging about 15 minutes, the work is extremely flexible to fit in with a variety of schedules. If you want to make some extra money, website testing is an interesting way to do it. You can even earn hundreds each month by signing up with a few testing companies and providing detailed feedback. Thanks for putting these detailed resources together. 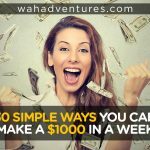 This is a great starting point for anyone who wants to make money from home without a 9-5 commitment. I’ve already passed this along. Hope you’re having a great week! Reluctantly left my phone number and information at Analysia, no auto reply email received as promised. Would not recommend. Thanks for sharing this information. What a great layout. Fantastic site a wealth of information here. I will start putting some of these to work myself. Many Thanks! Wow!, I can easily make money now. Thank you for sharing these sites. 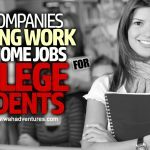 Do we need to provide SSN while signing up on these websites for these Work from home jobs? I am a house wife on dependent visa with no SSN. But I do have a paypal account. Can I still do this Work from home jobs? it would be great to have some extra cash to help my family’s needs. Thanks so much for these pots of wealth. I hope to start making money soon. Thumb up for you. The best one is User Testing! It pays within 7 days via PayPal. What I like about it is its fun and a great way to make money and is very interesting. It also gives you tests daily as long as your logged in. You get feedback on how to make your reviews better. I did a few for Intellizoom but I am not sure it is legit as there is no way to log on or see if your review was accepted. One other thing. If you are looking for survey panels check out Pinecone Research and One Opinion. A bit time consuming but great panels. Hope this helps!